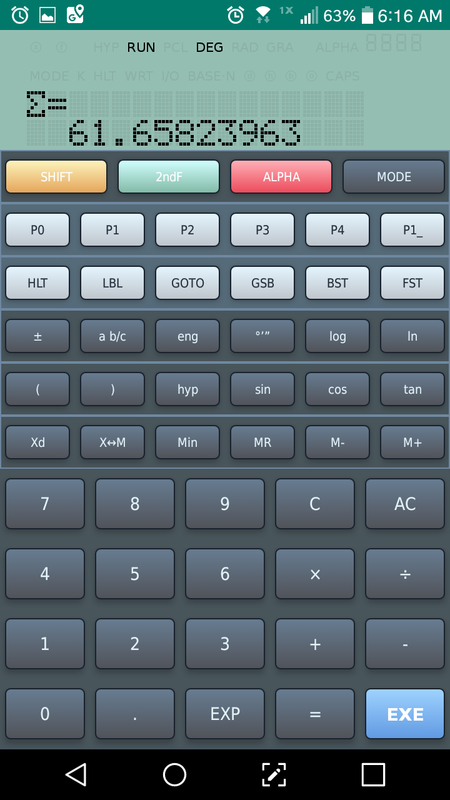 The app is emulates the 1990 Casio fx-603P calculator. The sum is stored in M03. Note: when entering a new f(x), clear P9 (MODE, 3, P9, AC) first before entering the new function. It’s a lot cleaner. Memory F: [ Min ], [ MR ], etc. [EXE] for F.
The program calculates the number of combinations where repeats are allowed. ( MR01 + MR02 – 1) x! This program calculates the rate-of-climb (ft/min) when plane increases the elevation (in feet) given the distance to the mountain (in nautical miles, n.m.) and the true air speed (TAS, in knots).